It’s a cheery little tale of genetic manipulation and environmental decay. I was thinking about different breeds of dogs, and I took it the next logical step. (At least it seemed logical to me.) The inspiration for the opening scene was a news item about worker revolts in coastal China. And the Last City, of course, is my hometown. Was “A Dog of Wu” personal to you in any way? If so, how? I grew up in a place that was (by American standards) scary and chaotic; but I was also part of a community that was quite regimented. So the divided world of the story feels familiar – the sense of imposed order clashing with something that might be anarchy. A deep desire to read my next one. And also that even in a system that messes with basic humanity, people are still people. Their core motivations remain. That doesn’t absolve people of responsibility; but it does mean that societies that ignore human nature will eventually fail. I’m working on two novels. 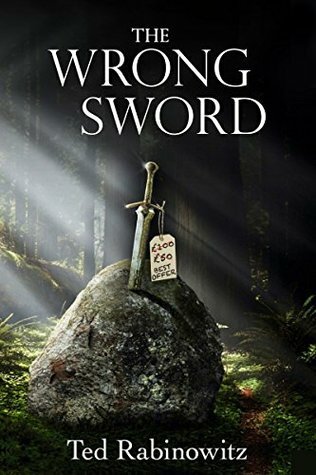 The first is Hero’s Army, a sequel to my 2012 historical fantasy The Wrong Sword. The second is Conjure Man, a kind of Faust story set in a New York where sorcery has displaced finance and tech startups as the hot new industry. “A Dog of Wu” appears in the March/April 2018 issue of F&SF.